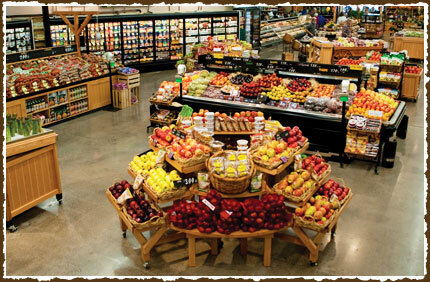 At Cooke's Food Store, we are delighted to serve you and your family's grocery needs everyday. 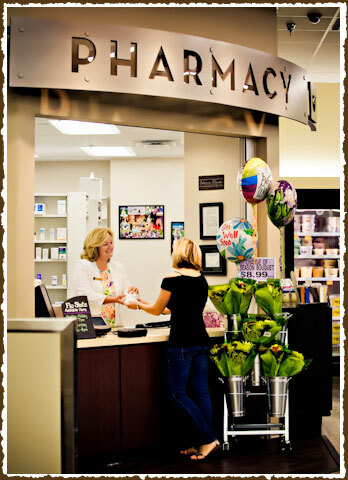 Our staff would be delighted to assist you at any of our fresh product counters. From meat and seafood, to fresh produce, baked goods to the pharmacy, we invite you to try our store for all your family's needs. Come in and see us today! 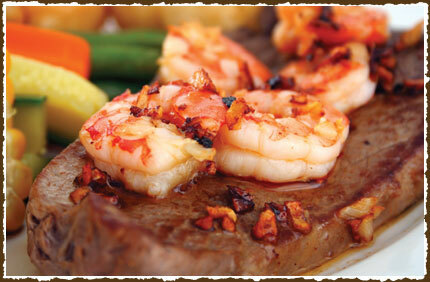 Our meat and seafood counter is sure to please your family for dinner. From ocean-fresh seafood to quality meat products, our knowledgable butcher and staff can assist you with any of your needs for a quality meal that you will love. Every season brings different harvests, and our produce department strives to bring you the freshest, most delicious fruits and vegetables for any time of the year at affordable prices. Check with one of our produce experts today for the best seasonal varieties for your family! 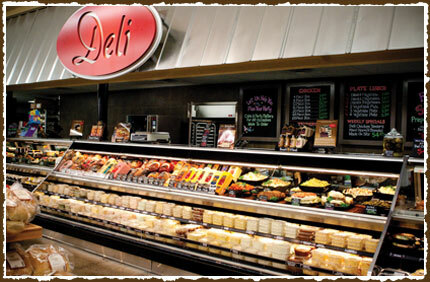 Lunchtime does not have to be a hassle with our deli and bakery. 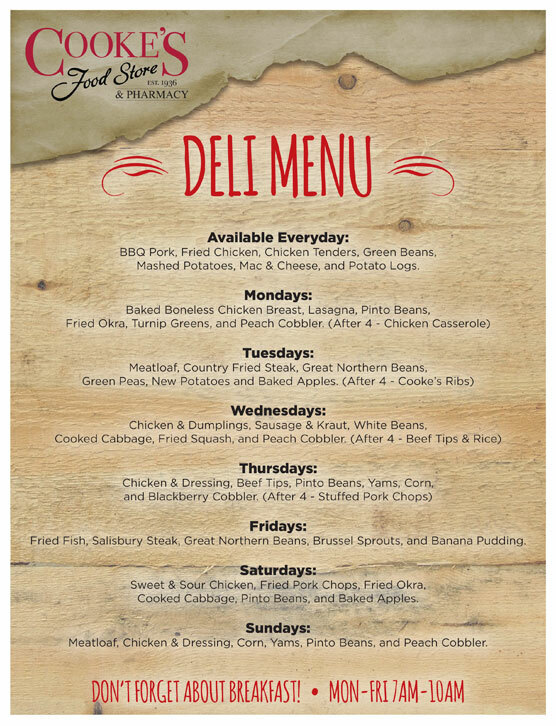 Our sliced deli meats and cheeses make any sandwich better, and our daily lunch and dinner specials are sure to please. If you are short on time, try our rotisserie chicken for a quick and easy meal! Looking for a fresh-baked treat, but don't have time or energy to make it yourself? Pick something up from our bakery. From hot rolls and breads, to cookies, cakes and muffins, we are sure to have anything you may need to satisfy your craving! 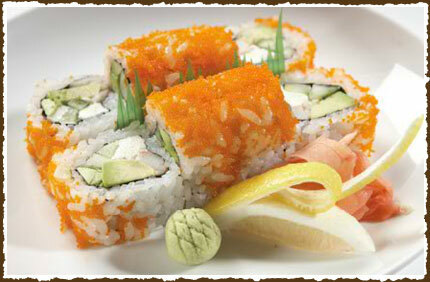 Our superior line of sushi items is made with time-tested techniques, a one-of-kind recipe and the highest quality seafood to ensure food safety, ideal freshness and delicious taste. 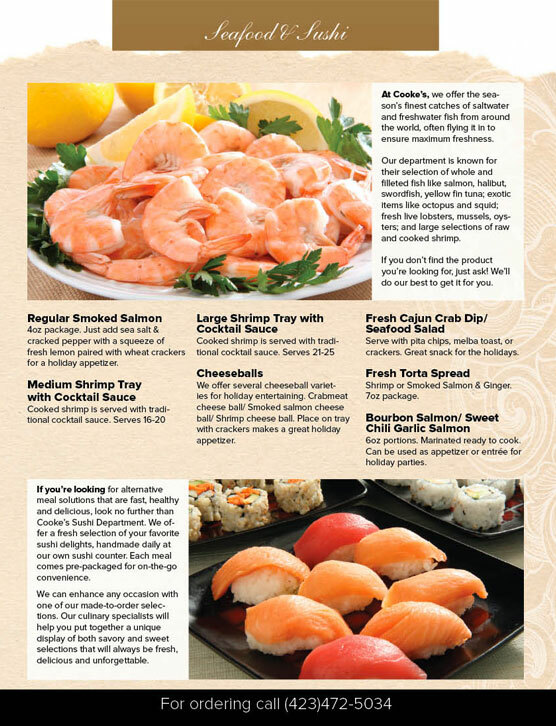 Party Trays - Any size to fit your party. Call for more details (423) 472-5034.